The Hotel Baita Sciatori offers a charming and peaceful place in winter and summer stay to his pleasant guests in a comforting and family environment. If you desire an holiday to contact with the most beautiful nature, here you will find lawns, woods, a wonderfull view and so much December snow to April. 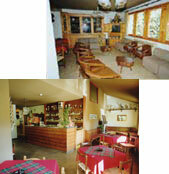 Being directly the hotel on the ski, in winter the skiers can reach in the hotel with the skis the feet. In summer, you is stung of departure instead for easy walks, excursions and ascensions on glaciers.